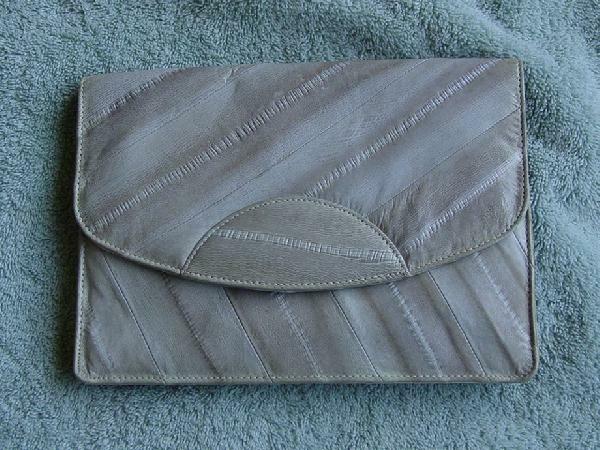 This vintage eelskin clutch purse is in a grayish white and bone-beige color. It has an envelope styling with a magnetic closure under th efront flap. 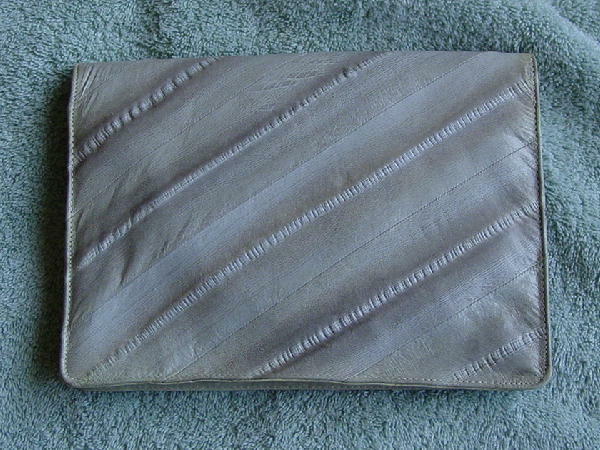 Th einterior has a gray fabric lining and two sections. 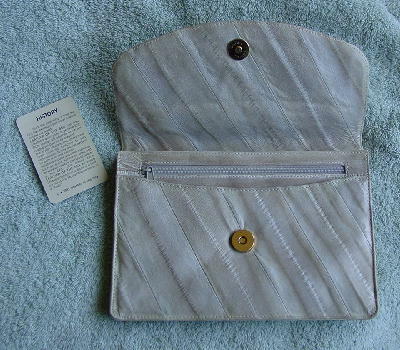 The back of the front section has a side to side zippered compartment. The eelskin is very soft. You can wear it from daytime to evening. It was used only once, in a photo shoot.